Discover how to make battered pineapple fritters with a sweet syrup, a quintessential Chinese dessert that is surprisingly easy to prepare. 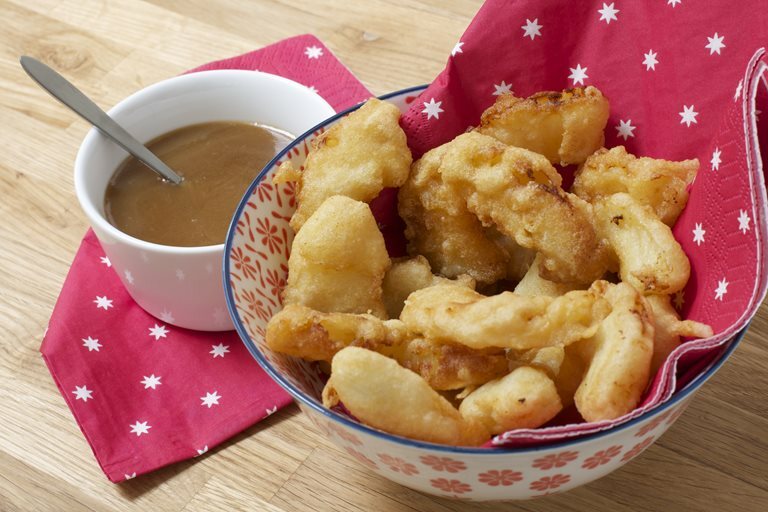 Kitsch battered pineapple fritters with a sweet syrup are a stalwart dessert on virtually every Chinese takeaway. They’re surprisingly easy to make yourself at home for a Chinese New Year dessert. 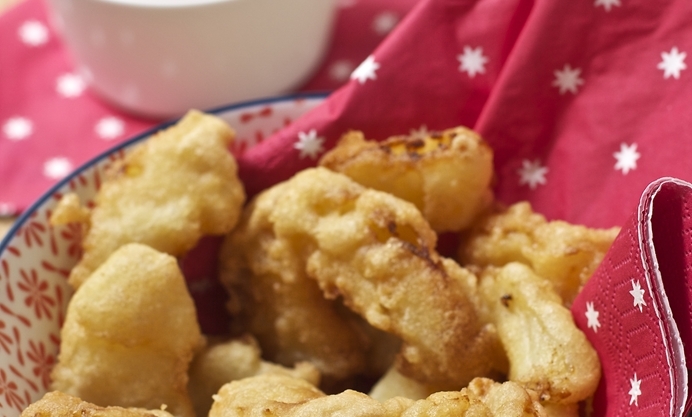 You don’t absolutely need a deep fat fryer to make these fritters, you could use a pan with oil and tongs. The advantage, however, of a proper machine is that the oil temperature can be controlled more accurately. 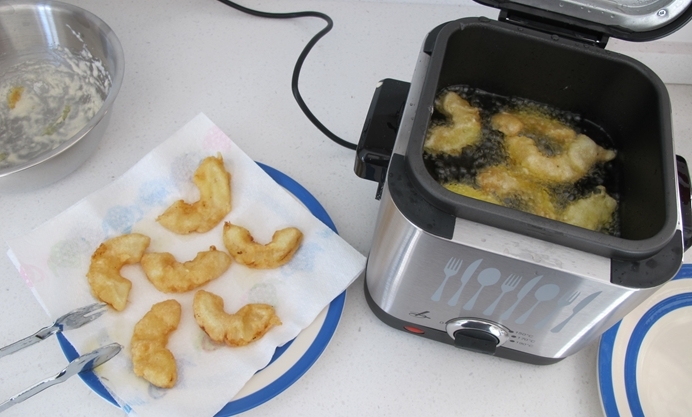 I used a compact deep fat fryer from Lakeland costing just £35 which takes up very little space on the worktop. Make sure you are using a variety of oil that says it’s suitable for deep fat frying such as ground nut, sunflower or rapeseed. For the spices in the toffee sauce I had considered using a bought five spice blend, however, beware these may include garlic which you definitely don’t want in a dessert. The five spice name is in fact symbolic and the spices themselves can vary. Cinnamon and star anise are the most frequently used and can be accompanied by cloves, nutmeg, pepper (particularly Sichuan), ginger, liquorice, galangal or fennel. I don’t suppose coconut is especially common in Chinese cuisine, however, I found myself using it in the absence of any cream (which you can substitute if you prefer). 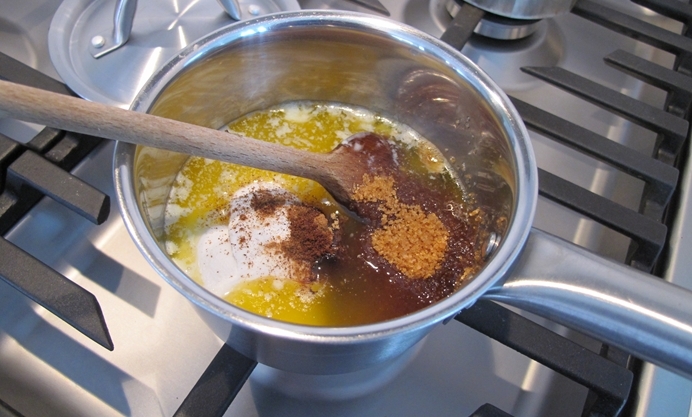 The toffee sauce is runny when hot but thickens as it cools. You may find the consistency is best if you make the sauce an hour or so before you make the fritters, so it is still dippy but thick enough to pleasingly coat the fritters. I found that my fritters were getting stuck to the deep fryer’s basket, so instead put them into the main chamber directly without the basket using metal tongs to get them in and out. Make sure the oil is hot enough before you start, so that the exterior of the fritter batter cooks quickly - not only is this healthier but it stops things sticking to each other too. 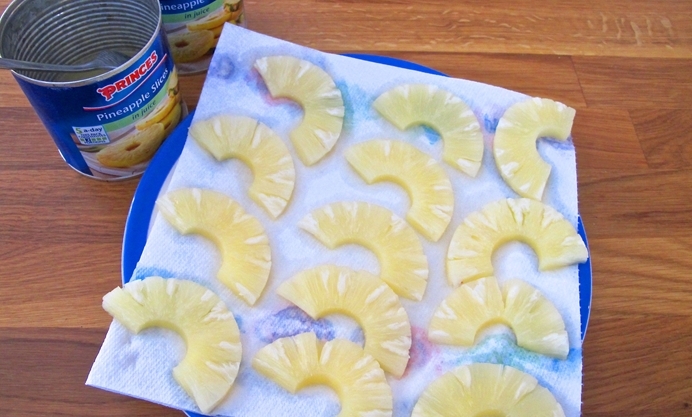 For simplicity’s sake I used canned pineapple to dip in my batter. However, if you are accustomed to preparing fresh ones, by all means do so. I suspect however that most Chinese restaurants and takeaways serving pineapple fritters will more likely be using the canned variety so arguably these are more authentic! Sarah Trivuncic is the author of Bake Me I’m Yours… Sweet Bitesize Bakes and has been blogging about food, family and adventures at MaisonCupcake.com since 2009.